TOKYO--(BUSINESS WIRE)--On September 21, 2017, Tohatsu Corporation (headquartered in Tokyo, Japan; hereinafter "TOHATSU") announced the outline of its global brand campaign at the 57th Genoa International Boat Show held in Genova, Italy. 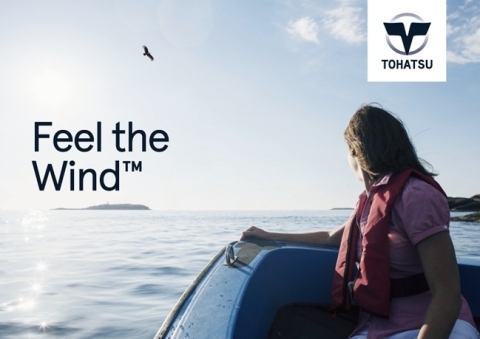 TOHATSU’s global brand campaign based on a new branding strategy will be deployed at boat shows around the world, starting from the Genoa International Boat Show in September 2017. The feature of the new branding strategy is its target demographic called “SMARTS”, millennial boat owners (born between 1977 and 1995). The new brand logo, “Blue Wings” has been designed to represent “Seahawks” that fly over the oceans across the world. TOHATSU’s unique technology, “Simpliq™ Technology” is the collective term for all technologies developed by TOHATSU. “Simpliq™ Technology” includes highly detailed designs, weight-saving technologies, and packaging know-hows, based on the technologies in outboard manufacturing accumulated for more than 60 years. 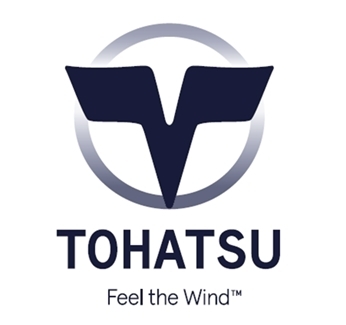 Since its foundation in 1922, TOHATSU has been driving a number of technological innovations around the world by its unique engineering of engines including weight-saving technology. TOHATSU outboards are manufactured at its own factory, one of the largest in the world, and used in more than 120 countries.